Home / Rush Hour 3 Giveaway! 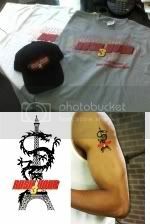 Blogcritics and New Line Cinema are pleased to host a giveaway of Rush Hour 3 swag. Blogcritics and New Line Cinema are pleased to host a giveaway of Rush Hour 3 swag. Five lucky winners will each get a prize pack that includes two t-shirts, one baseball cap, and one temporary tattoo featuring the movie's logo. Chris Tucker returns to the big screen after a six-year absence as he reunites with the all-star team of co-star Jackie Chan, director Brett Ratner (Rush Hour, Rush Hour 2), and screenwriter Jeff Nathanson (Rush Hour 2, Catch Me If You Can), to deliver the third installment of the blockbuster Rush Hour franchise. 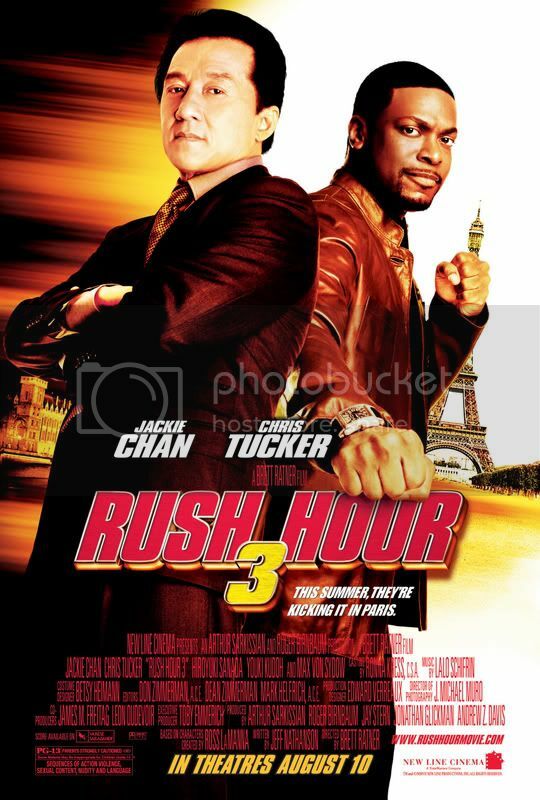 Arriving in theaters on August 10, 2007, Rush Hour 3 sees the beloved action comedy duo of Tucker and Chan reprising their roles as LAPD Detective James Carter and Chinese Chief Inspector Lee respectively. This time around, the two must travel to Paris to battle a wing of the Chinese organized crime family, the Triads. Based on characters created by Ross La Manna, Rush Hour 3 is being produced by Arthur Sarkissian, Roger Birnbaum (Memoirs of a Geisha), Jay Stern, Jonathan Glickman (The Pacifier), and Andrew Z. Davis. Entries must be mailed to [email protected] and include your name, mailing address, e-mail address, and telephone number. Entries must include the subject line "Rush Hour 3 Giveaway" Any entries that do not include the required subject line will be discarded without consideration. Entries must be received by August 31, 2007. Winners will be drawn after September 1, 2007. Winners will be notified by e-mail and in the comments section below. One winning entry per household.